Are you facing a legal issue, or just looking for more information about a specific legal topic? Kapoor Paralegal Professional Corporation provides a wide range of legal assistance to companies, law firms and individuals. We focus in the areas of Immigration and Refugee Board of Canada, Provincial Offence (Traffic Tickets), Landlord and Tenant Dispute, Accident Benefit Claims and Small Claims Court matters. We believe that more information helps you make better decisions. At our firm, we provide you with detailed information on legal issues so that you can make the choices that are right for you. It is important to us that you feel you are a priority – not just another ‘file’. We look forward to handling your case with skill, discretion and care. We are committed to achieving best results for our clients, with more dedication, care, and attention to detail setting us apart from the competition. When you have a question, we provide an answer. Any time if there is a development in your case, we inform you. Our clients know that we give them honest and straightforward advice that they need to enter into a legal situation with the right knowledge and expectations. Why hire Kapoor Paralegal Professional Corporation FOR YOUR LEGAL ISSUES? It is important to us that you feel you are a priority – not just another ‘file’. We have the resources and skills to provide the type of high-quality legal representation you would expect from a large firm. We are comfortable handling cases at all levels of complexity. For more information about our firm and how we can assist you through your legal issues, contact our firm to schedule an initial consultation. 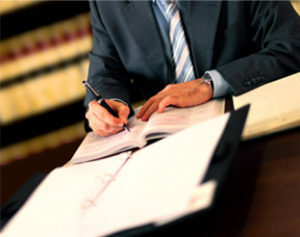 We are ready to guide you through the legal process with confidence. Call 416-880-2498.